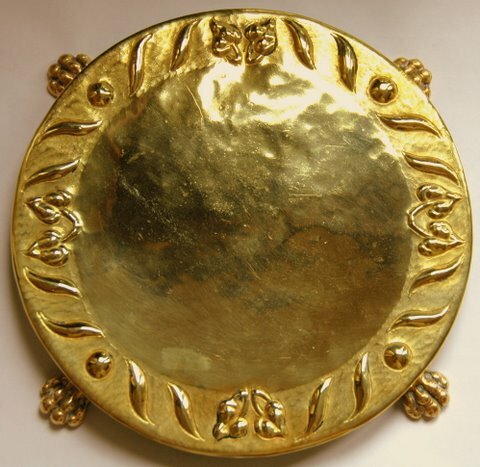 This beautiful 7″ diameter brass trivet just sold on eBay for $400. It was crafted by Paul Beau, a Canadian artist and metalcrafter (1871-1949). Paul Beau was a member of the Arts & Crafts movement in Canada. He spent a lifetime crafting beautiful metalware by hand, long after others had turned to machine-manufacturing techniques. His items are varied and interesting; note this simple but elegantly designed trivet. I have no idea of how many different trivets he may have created, with each piece of metalware individually crafted and in the hands of private collectors now. Paul Beau creations are investments as well as collector items, with some selling in the thousands of dollars. The person who won this eBay Auction for $400 saw a true bargain! You’ll find examples of other metalwork by Paul Beau here: Parliament of Canada: Artifacts. And here’s some additional biographical information About Paul Beau. 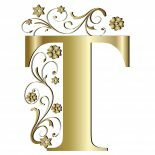 This entry was posted on March 23, 2008 by Lynn Rosack in Antique Trivets & Stands and tagged Arts and Crafts, brass, Canada, Paul Beau.